Darrell Green is really fast. That “is”, as in present tense (he was frighteningly fast). His 50th birthday present to himself was a 4.43-second 40-yard dash time, which, by comparison, is what he would be running if he was a starting NFL wide-receiver. Of course, during the two decades he played for the Washington Redskins, Darrell Green was definitely not a wide-receiver. 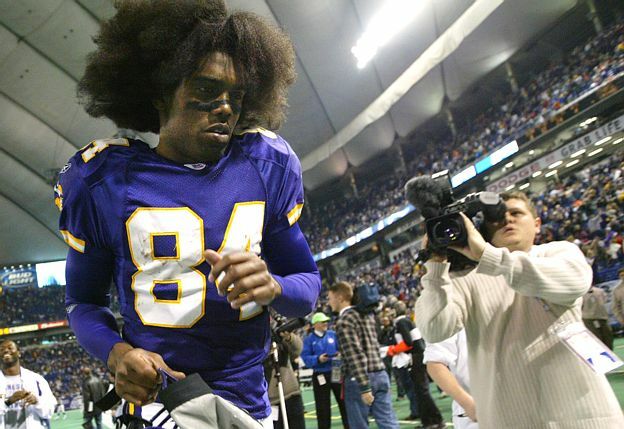 He built a Hall of Fame career, in fact, on smothering wide-receivers in their sleep. He built a Hall of Fame career, it would be fair to say, largely on being faster and quicker than any player on the field. If you put stock in the persistent legend (that he ran a sub-4.1 40-time in 1986), then Darrell Green built a Hall of Fame career largely on being the fastest human being to ever play football. Not that any of that matters. A lot of athletes say things like this, and a lot of them don’t mean it. Obviously, a career in the NFL is not that similar to a career selling life insurance out of a cubicle. The lifestyle of someone getting paid millions of dollars to play a game on television is wholly removed from that of your average blue-collar sports fan. And that’s exactly how we want things to be. Stardom is a marketable commodity in popular culture and the allure of megalithic athletic personalities living at maximum speed on and off the field explains much of the enduring fascination that sports hold in society. It’s a dynamic everyone is aware of on some level, and one that Darrell Green often laments. Talking with Darrell Green, you are likely to hear a lot of this kind of nostalgia for an era of greater moral substance and direction. He spends more time discussing his marriage (now in its 28th year), his Christianity and the way he’s raised his children than he does his playing days. And all the talk of just a job like any other and back in my day overtones might come off as patronizing and hypocritical if he hadn’t been able to put his basic worldview to such effective practice. 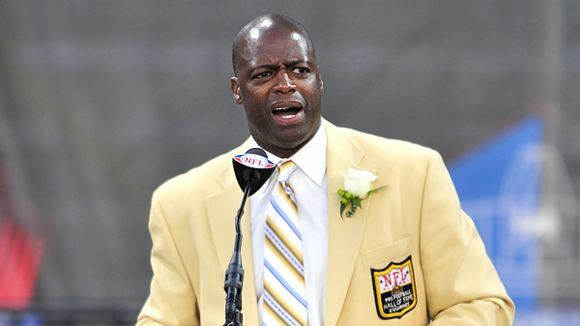 Now, with 20 NFL seasons under his belt, Darrell Green had plenty of time to figure out “how to be a man.” And the genuinely high esteem in which he holds familial responsibility and virtuous behavior shouldn’t be confused with a lack of business savvy or a disregard for financial success. Darrell Green was a rare breed of athlete, able to understand and appreciate the power of his celebrity, without buying into his own mythology. He realized early on what many athletes never do until it’s too late: sports don’t last forever, and neither does the money. Features like ESPN’s 30-for-30, Broke, highlight just how easy it is for the windfalls of athletic stardom to evaporate as soon as the athletic part does. And Green’s latest venture, like the storied football career that lends its legacy, benefits as much from sound moral backing as it does from drive and ability. WalkFitHealth Nation, which sells state-of-the-art pedometers and access to an online fitness community, is an idea that came from Green’s experience with high blood pressure in his family and his personal research into the practical realities of leading a healthy lifestyle after 30 years or so of high volume training. Walking, Green determined, is the simplest, most practical way for mutant speed demons and regular working folk alike to improve every aspect of their wellbeing, within the framework of their normal daily lives. Walking, he explains, is both “passive” and “active” – you get the same “psychological, sociological and physiological benefits” from both, so the WalkFitHealth online network gives you “credit” whether you set time aside to go hiking in the woods, or work in your exercise to the basic house chores you’re already going to be doing anyway. Fitness gets thought about as being something separate you have to do on top of everything else, so making and keeping goals is stressful and difficult for a lot of people. On top of that, people struggling with obesity-related issues are more likely to get discouraged by intense, blitzkrieg approaches to healthy-living. But by incorporating all the walking we naturally do over the course of the day into a comprehensive fitness strategy, Green hopes to encourage people to find creative ways to do more of it and reach a swath of the American population that feel left out of the current fitness paradigm. “If I just walk at work and to the house and to the car and I make three thousand steps, and then I come home and I walk 30 minutes or 40 minutes and I get another 6,000 steps, I’m at 9,000, 10,000 steps,” which is a benchmark Green’s research tells him is particularly meaningful. “That is not only going to help me physiologically or physically, its helping me psychologically. So I’m going to map out 9,000 steps a day. That is very healthy.” More importantly for many of his customers, it’s also relatively easy. “Everyone can’t run a marathon, everybody can’t swim everyday. All these different things. But everybody can walk.” Indeed. Everybody can’t run an elite 40-yard dash when they’re 50, but with the right approach, not everybody has to in order to be healthy. Everybody likes walking. “Everybody likes wireless. Everybody likes social communication with one another. Everybody likes prizes. Everybody likes technology when it’s simple. We just really put all these concepts together.” And everybody, hopefully, will want to buy in, which will be good for them, and good for Green, who isn’t shy about his personal interests or timid about his lofty collective ambitions, and doesn’t see why they shouldn’t work in conjunction with one another. Building on the surge in social media messaging, passing on a message of self-improvement as simple, timeless and essential as any currently being discussed on a national level, WalkFitHealth is poised to succeed in a modern economy and change ordinary lives in the process. “It’s a business, but it also has a sincere and sober vision behind it.” There’s no contradiction there, no conflict of interest, no corporate marketing ‘sidespeak.’ For Darrell Green, the right way is, and always has been, the only way to true success. Kelly Davies assisted in producing this story.